Former BJP president Murli Manohar Joshi's office also confirmed the development. It said that a brief statement was issued for voters of his constituency Kanpur, from where the 85-year-old leader had won in 2014. Senior BJP leaders L K Advani and Murli Manohar Joshi. After L K Advani, the BJP has asked another party veteran and former BJP president Murli Manohar Joshi to not contest the upcoming general elections. The development comes days after its founding member L K Advani was replaced by Amit Shah for Gandhinagar Lok Sabha seat. Barring 1996 Lok Sabha polls, the Gandhinagar seat was won by Advani six times since 1991. Former BJP president Murli Manohar Joshi’s office also confirmed the development. It said that a brief statement was issued for voters of his constituency Kanpur, from where the 85-year-old leader had won in 2014. 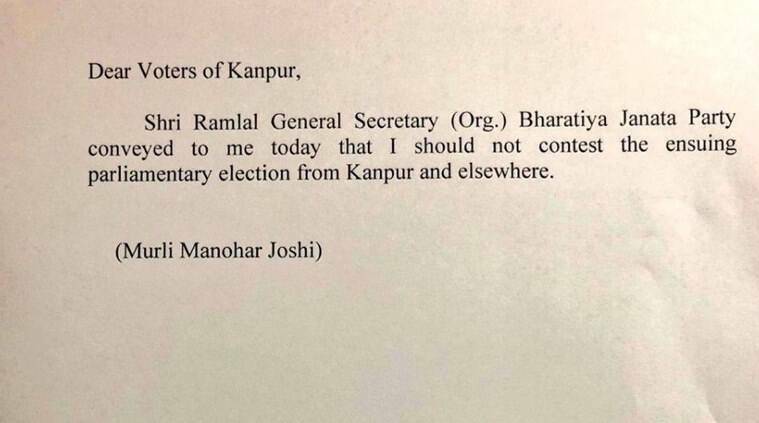 The statement said BJP general secretary (organisation) Ram Lal, an RSS appointee, had conveyed to Joshi the party leadership’s decision that he should not be contesting the elections. BJP leaders were quoted as saying that the party has taken a “principled decision” and veterans should make the way for younger leaders. Joshi had vacated Varanasi seat, which he had won in 2009, for Prime Minister Narendra Modi in 2014. The veteran leader currently heads Parliament’s Estimates Committee and some of its observations, including on jobs, the GDP and non-performing assets, embarrassed the government. 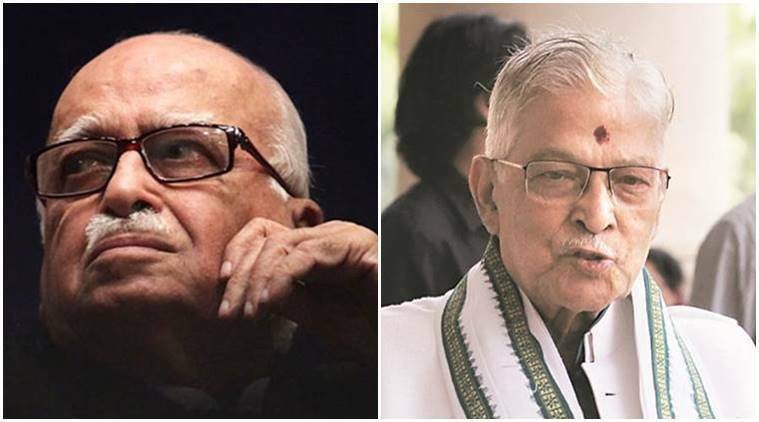 Along with Advani (91), the BJP has not given tickets to the likes of B C Khanduri, Kariya Munda, Kalraj Mishra and Bijoya Chakravarty, all above 70 years of age.